Alleycat Graphics, run by Jon Blasik and Krisztina Koteles, specializes in alternative movie posters, greeting cards, enamel pins and other horror related treats. 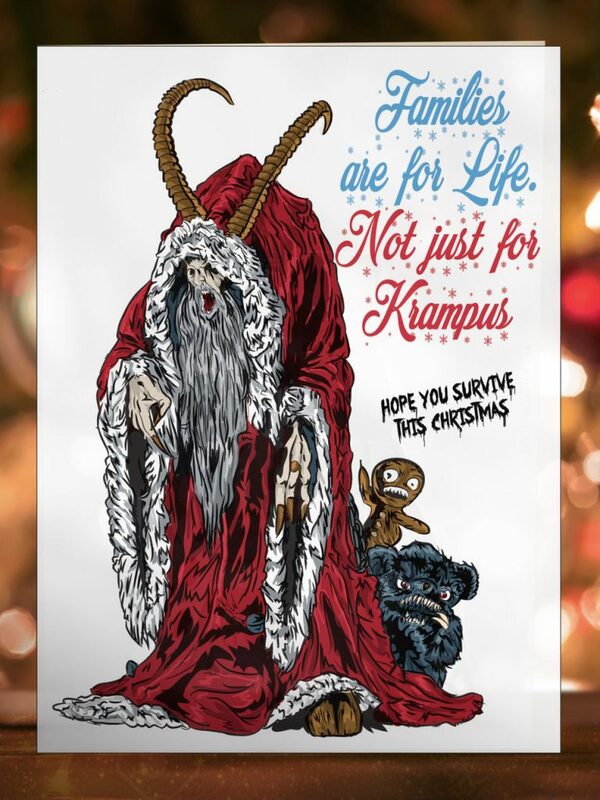 If you’re looking for a themed sentiments to give to your favourite ghouls, check out their newly released KRAMPUS CHRISTMAS CARD that is sure to get you screaming with holiday cheer. Card printed on 350 gms thick card paper comes complete with an illustration of Krampus himself, accompanied by an evil looking gingerbread man and maniacal teddy scare “bear”. The card is designed by Krisztina and pays heavy homage to the 2005 horror-comedy Krampus, which was written and directed by Michael Dougherty and co-written by Todd Casey and Zach Shields. Now to find a gift to go with the card, why not stuff those stockings with the hot off the printer ALLEYCAT GRAPHICS COLOURING BOOK #2 (Book #1 was covered earlier here). 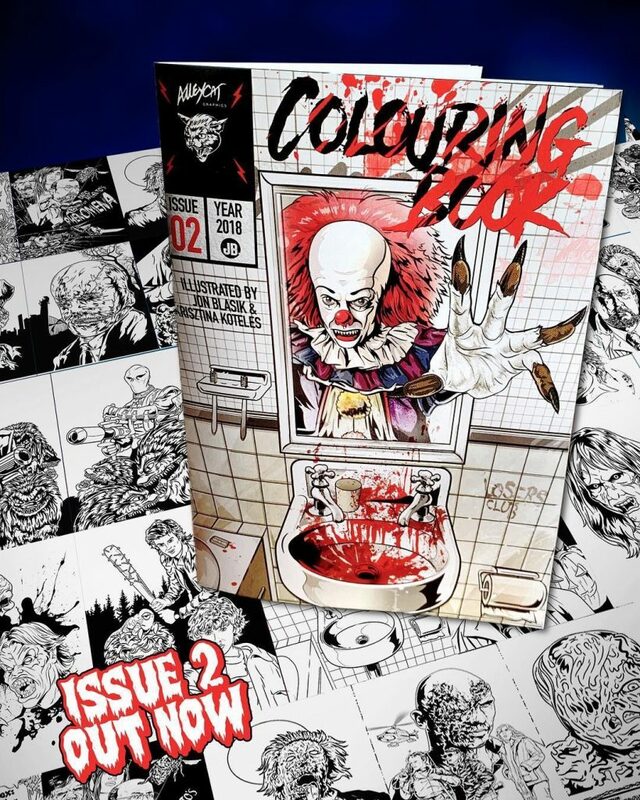 This 20 page book illustrated by Blasik and Koteles covers some of creepiest of scenes from films like IT, Evil Dead 2, From Beyond, Critters, A Nightmare on Elm Street and many more. Check out these and some other horror-themed goodies just waiting to burst out from the Christmas tree on Christmas morning on the Alleycat Graphics website and alternatively follow along on the social media accounts for future creations.